When it comes to wine, most people would envision the sun-kissed vineyards of Italy, France or California. In contrast, Asia and its cuisine are not often brought up when discussing wine culture. But Korean-American wine critic Jeannie Cho Lee is looking to change this perception and put Asia on the international wine map. Based in Hong Kong, the author, journalist, consultant and wine educator is a highly regarded wine master in Asia. 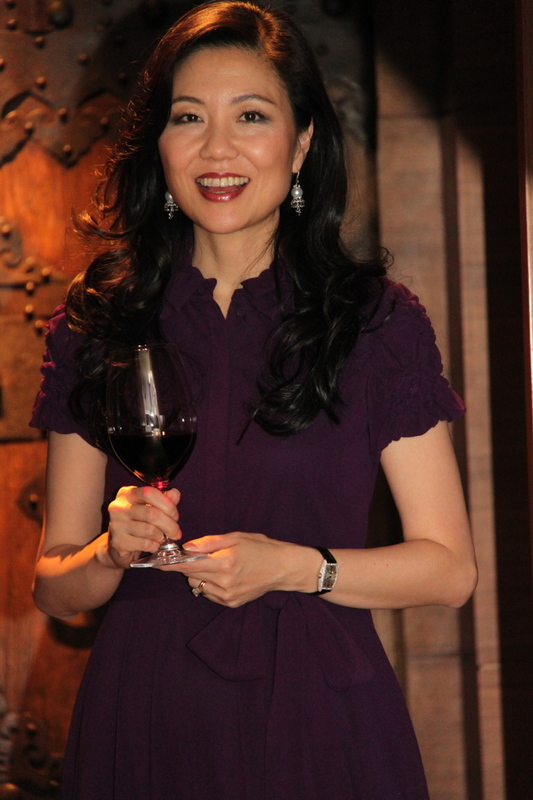 In 2008, she received the prestigious title of Master of Wine, becoming the first ethnic Asian to achieve this accreditation by the Institute of Masters of Wine. “If you define wine the way that many Asians define it, as a fermented beverage made from grains or any kind of fruit, such as rice wine (sake from Japan or huangjiu from China), then Asian wine-making history is quite long,” said Lee in an email interview with The Korea Herald. In 2009, Lee published her first book, the “Asian Palate,” exploring wine and Asian food pairings. The release landed the author multiple accolades including the Gourmand Award for Best Food and Wine Pairing Book in the World in 2010. In 2011 she unveiled her second book, “Mastering Wine for the Asian Palate” and introduced a new set of Asian wine descriptors. So what types of wine does the wine master suggest pairing with Asian cuisine? “Versatile, refreshing wines pair best with most Asian dishes because Asian cuisine has much greater diversity and intensity of flavors compared to most western cuisines,” she said. “There are no secrets to pairing wine with Asian cuisine. We just need a keen interest and solid understanding of both wine and various Asian cuisines. ‘Solid understanding’ means that one is able to judge a wine’s quality and respect a wine’s flavor profile when food is introduced,” Lee added. For example, a good, basic Chablis has a lean, sharp palate profile with neutral flavor characteristics, so pairing it with a sweet and sour pork dish would completely overwhelm it. However, pairing a Chablis with a delicate crab meat salad would show more of the wine’s “minerally, stony edge,” explained the wine critic. “A few tips on pairing wine with Asian cuisine. Consider the seasoning, spices and condiments to be even more important than the key ingredient. Consider texture of both the dish and the wine. Soft textured food requires silky texture in the wine. For example, soft tofu with mature, creamy-textured chardonnay,” said Lee. For wine novices looking to learn more or starting a small home collection, Lee’s recommendation is to ignore trends and keep in mind that quality trumps quantity every time. “You also don’t want to tie up your money in wines that are not going to retain or go up in value because it means you are storing wines that are digging a hole in your pocket -- wines that could have been purchased just before you want to drink them rather than taking up your cellar’s storage space. Go for wines that become more valuable, rare and better with time,” Lee suggested.